Vegetable production – LTD "Agrotech-Garantia"
Vegetable production is one of the key elements of Agrotech-Garantia work. It occupies the area of over 500 hectares of fertile land. Potato is leading in this list. We use seeds from the leading world companies AGRICO and HZPC. 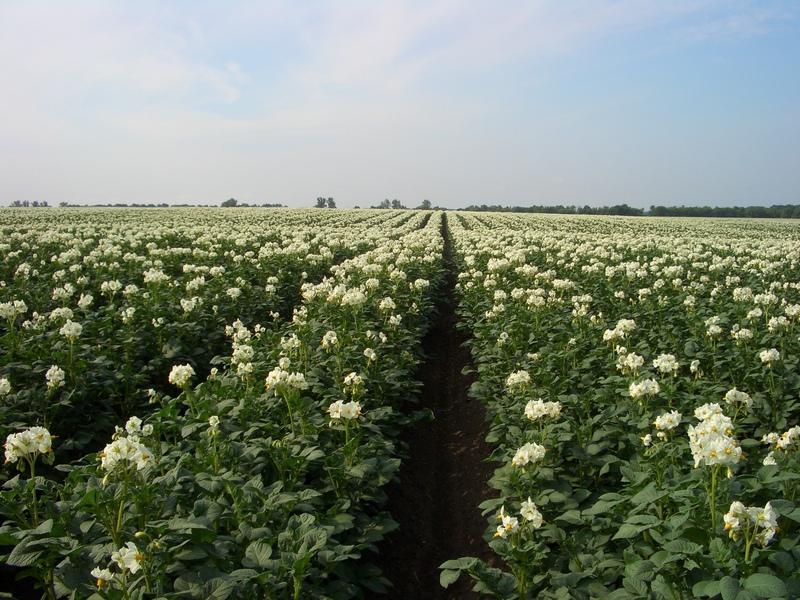 Agrotech-Garantia grows a dozen types of elite high-yielding potato. The most popular of them are Riviera, Arizona, Sifra, Labella and many others. Organic, high-quality potato is grown using the latest technology. To a list of vegetables grown by the company we also include carrot, cabbage and onion. These crops are of high demand and popularity among customers. All the vegetables we cultivate are tested in the laboratory of quality and safety of the Ukrainian AIC (Agro-industrial complex) for the virus diseases. We work closely with both sanitary and quarantine services of Ukraine. The quality of our products is above all! 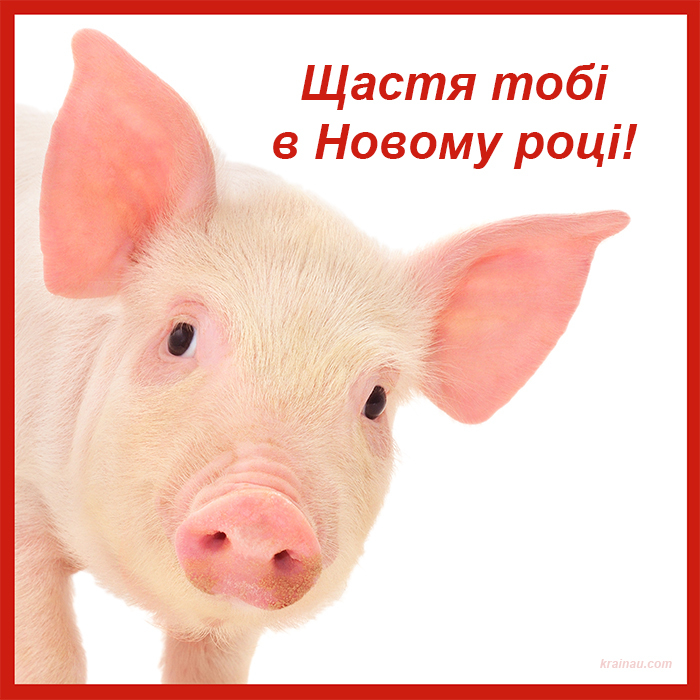 On 12 September 2010 in the village of Komishnya Mirgorodsky district was opened one of the largest vegetable storage in Ukraine, the capacity of which is 12,000 tons of products, was put into operation for storing own crop. The vegetable storage was built on the most advanced European technologies. 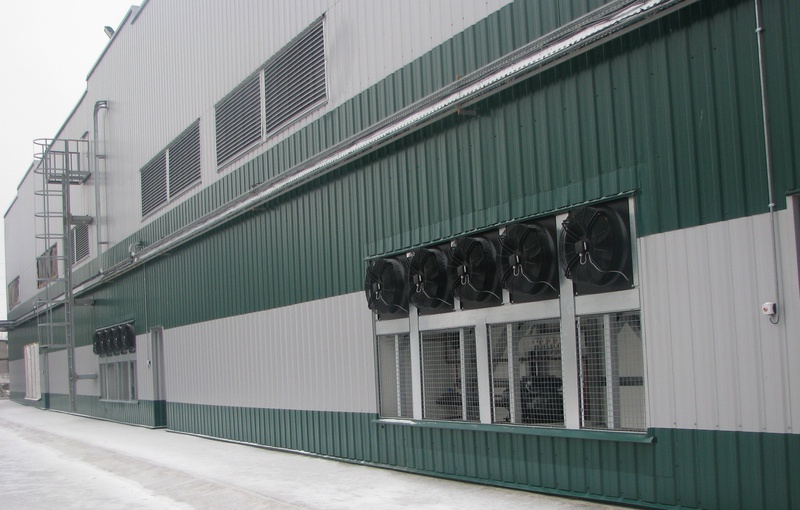 The cold-chain equipment and forced ventilation system are used in the storage. Potatoes for sale and planting, carrots and onions are stored using the technology of the Dutch company AGRO VENT, where vegetables are brought to the desired result regardless of the natural conditions. The process of the continuous uninterrupted storage of vegetables, including potato, is carried out with the help of climate control systems, which produce a uniform circulation of air throughout the space of the chambers. This makes it possible to create and maintain a temperature and humidity that provide ideal conditions for long-term storage, for 9 months with minimal quality loss. There is a production workshop on the territory of the storage where all products are delivered with the help of the most modern technologies, there is an operational supply of products. In the workshop vegetables are cleaned, sorted and calibrated. The daily capacity of the equipment allows loading about 200 tons of vegetable products. LTD Agrotech-Garantia has the possibility to deliver goods in Ukraine by specialized transport. Our partners at the moment are such trading network of supermarkets as Furshet, ATB, Metro, Silpo, and Klass. Our main principles and priorities in conducting business are openness, predictability and guarantees in carrying out our duties. TOV Agrotech-Garantia has proved to be reliable and responsible partner over the years.